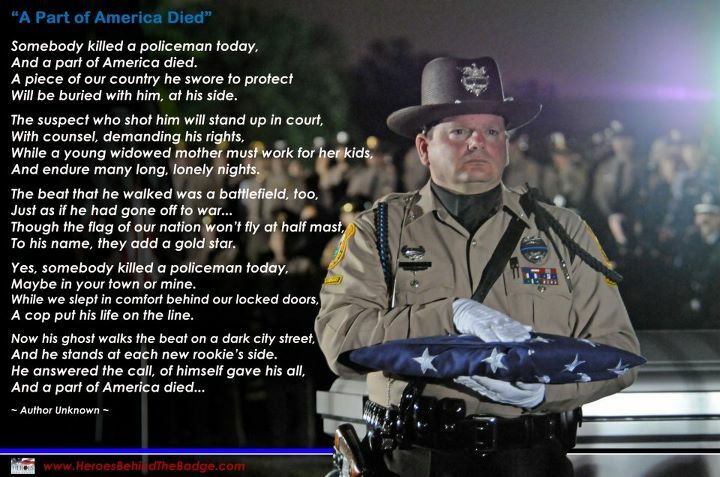 As you remember these fallen officers, take comfort in recalling that they dedicated their lives to the same principles of honor, duty and courage that brought you to the badge. Such a life is truly rich. Take strength in knowing that when an officer falls, our resolve to serve those in need is not diminished. Our dedication to protecting those in danger is not weakened. Our commitment to remembering those with whom we shared the badge does not fade. Deputy Sheriff Bill Myers was shot and killed while serving a domestic violence injunction at a local attorney's office on Plew Avenue, in Shalimar, at approximately 8:20 am. He had served the papers on the subject and was leaving the office when the man opened fire from behind, striking him multiple times in the back and the back of the head. The man fled to a local hotel where he barricaded himself in a room for approximately 90 minutes. He was shot and killed by members of the agency's Special Response Team after exiting the room displaying a firearm. Deputy Myers had served with the Okaloosa County Sheriff's Office for a total of 26 years. He had retired from the agency after serving 25 years and then returned as a part-time deputy in January 2015 to assist with serving civil papers. Police Officer Jared Forsyth was accidentally shot and killed while participating in firearms training at the Lowell Correctional Institution's firing range on NW Gainesville Road at approximately 3:00 pm. A firearm was accidentally discharged during the training and the round struck Officer Forsyth in the side of his chest, between the panels of his vest. He was transported to Ocala Regional Medical Center where he succumbed to the wound approximately two hours later. Officer Forsyth had served with the Ocala Police Department for three years. Police Officer Charlie Kondek was shot and killed while responding to a noise complaint call at 199 Grand Boulevard. Residents of an apartment complex had called police because a man who had been knocking on apartment doors at approximately 2:00 am. When Officer Kondek arrived at the scene he was shot by the subject. The man then fled in a vehicle but was apprehended a short distance away after crashing into a utility pole and parked car. Officer Kondek had served with the Tarpon Springs Police Department for 17 years and had previously served with the New York City Police Department for five years. He is survived by his wife and five children. It is believed that the subject intentionally set the house fire with the intention to kill as many first responders as possible. The man was known to police but an officer-safety alert associated with his address was not activated because a neighbor's address was used as the location of the fire when it was dispatched. Deputy Smith had previously served as a dispatcher and corrections officer. He served with the Leon County Sheriff's Office for almost six years. Deputy Smith is survived by his wife and children. The man's girlfriend, who was also at the scene, was arrested and held in connection with the incident. Deputy Pine had served with the Orange County Sheriff's Office for two years. He is survived by his wife and three young children. Deputy Sheriff Daniel Rivera succumbed to injuries sustained 10 days earlier when he was involved in a single-vehicle crash along I-95, near Copans Road, in Pompano Beach. He was en route to the police station at approximately 6:15 am when his patrol car left the roadway during a period of rain. The vehicle struck a tree on the passenger side, causing Deputy Rivera to suffer severe head injuries. He was transported to Broward Health North where he remained in critical condition until passing away on the night of September 21st, 2013. Deputy Rivera had served with the Broward County Sheriff's Office for 10 years and was assigned to the Pompano Beach District Office. He is survived by his parents and siblings. K9 Max died following complications during surgery for a duty related injury the previous night. K9 Max and his handler had responded to a burglary in progress on NW 176th Terrace in which multiple suspects were believed to be inside of a residence. Max's handler deployed him through a jalousie window that appeared to provide access into the home. One of the glass panels in the window came loose and severely lacerated one of Max's ears. He was transported to Hollywood Animal Hospital where he underwent emergency surgery to repair the damage. During the surgery he suffered a medical emergency and died. K9 Max had served as a certified apprehension and explosive ordinance detection canine for four years. K9 Gus died after inhaling a foreign object into his lung while performing a track for a missing woman in Hillsborough River State Park. He was deployed after several previous searches failed to locate the missing woman. Gus' track was successful and the woman's body was in the park. However, K9 Gus inhaled an object into his lung that lead to his death a short time later. K9 Gus had served with the Florida Fish and Wildlife Conservation Commission for four years. Sergeant Mike Wilson was shot and killed while responding to a domestic violence call at an apartment complex on Veterans Boulevard in Port Charlotte. The call involved a man in a physical fight with his wife and son. As Sergeant Wilson walked up to the stairs to the apartment the male subject emerged and opened fire from the second floor landing, striking Sergeant Wilson in the chest above his vest. The subject then committed suicide. Sergeant Wilson had served with the Charlotte County Sheriff's Office for 20 years. He is survived by his wife and three children. Master Deputy Sheriff Shane Robbins was killed in a single-vehicle crash on Bomber Road, near Spruce Road, at approximately 9:15 am. He was traveling westbound when his vehicle left the roadway for unknown reasons. A nearby resident who heard the crash called 911 to report the crash and responding rescue workers extricated him from his patrol car. He was transported to Winter Haven Hospital where he was pronounced dead. Master Deputy Robbins had served with the Polk County Sheriff's Office for 15 years and was assigned to the Northeast District. He is survived by his wife and five children. During the stop a subject exited the stopped vehicle and opened fire, striking Sergeant Morales as he sat his in his patrol car. He was transported to Lawnwood Regional Medical Center and Heart Institute where he was pronounced dead. 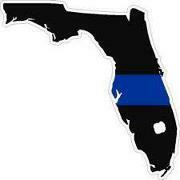 Sergeant Morales was a U.S. Air Force veteran and had served with the St. Lucie County Sheriff's Office for 13 years. He is survived by his wife and twin children. Deputy Sheriff Christopher Schaub was killed in a motorcycle accident at the intersection of West McNab Road and North Andrews Avenue in Pompano Beach. Deputy Schaub's motorcycle collided with a car in the intersection. He was flown to Broward Health Medical Center where he succumbed to his injuries approximately four hours later. Deputy Schaub had served with the Broward County Sheriff's Office for 22 years.